but without the costly mess, occasional spills nor funny fumes. what's different? - help file - > tutorials - samples - donate - more - purchase - > download now | Download Mirrors! no spyware, no gimmicks, no way you won't like it! "Any reproduction in whole or in part is totally cool - Daddyo"
Tell us and others what you think: Rate it Yourself! To save space and reduce the download time, we did not include the Help file in the downloadable installer. what to do with Project Dogwaffle. Your generous donation will help cover the cost of hosting and maintaining the free version of Project Dogwaffle. Will Project Dogwaffle 1.2 run under Windows Vista? Windows 7? Someone else is willing to pay for your copy of PD Particles, if you buy something from them first - and there are many products and services to choose from! Can't afford Project Dogwaffle 2? Someone else is willing to pay for your copy of Project Dogwaffle, if you buy something from them first - and there are many products and services to choose from! Someone else is willing to pay for your copy of PD Artist, if you buy something from them first - and there are many products and services to choose from! 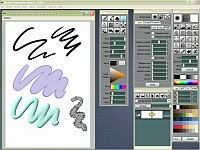 Project Dogwaffle 1.2 is a freeware version of the paint & animation program Project Dogwaffle and PD Pro Digital Painter, developed by Dan Ritchie - version 1.2 is based on a subset of version 2.0 ....... If you think this is pretty good, then you should see what you can do with the latest full commercial versions - read the user testimonials here. What can be done with Project Dogwaffle? 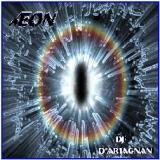 See the user galleries and sample artwork. what is Project Dogwaffle, what's a Dogwaffle...?! ok, so it's funny name, but what does it do? Project Dogwaffle version 1.2 (this freeware version) is based on the powerful achitecture of Project Dogwaffle 2.0. It's a light, yet powerful tool for artistic expression. We felt that the aging prior free version (v1.11b) was in need of an update, since it was written for earlier operating systems and we wanted our new users to have the speed and power of our newer software architecture. Dogwaffle 1.2 is not just a stripped-down save-disabled time-expiring trial demo of our full software - it's a fully functional version with some new features too. It is not save-disabled, there's no time-limit, no need to register, and there's no spyware or adware coming with it. We have eliminated some of the fat from the program, to keep it lite: things like bulky help files have been excluded. However, help and tutorials are available online for free viewing and downloading. Please keep in mind that v2.0 came out in January 2004, while v1.2 was built a month later. Since then, numerous patches and free updates were released for v2.0. This has added many more plugins, filters and features for the commercial version 2 which was at version 2.1b as of August 2004. In February 2005, even more new features were added with the release of v3.0, which has in turn also received several new update patches since (v3.1, 3.1a, 3.2). For more of what's new, click here. In a word: too many to list them all (ok, that was in 6 words). open/save only to BMP (.bmp) and TARGA (.tga) file formats. Use Irfanview or other tools to convert between other formats. Or get the full version which supports 60+ formats and AVI format (for animations). NOTE HOWEVER THAT YOU CAN FIND FREE PLUGINS AND ADDONS LIKE VIRTUALDUB OR IRFANVIEW TO CONVERT THE IMAGE SEQUENCES TO OTHER FORMATS INCLUDING ANIMATED GIF AND AVI! EVEN MULTIPRINT IS A FREE PLUGIN FOR DOGWAFFLE! SOME WILL WORK WITH PURCHASED SOFTWARE ONLY, MOST WORK ALSO WITH THE FREEWARE EDITION! The internal (simple) lens flare engine has been removed from the free version. The full version includes the simple lens flare engine as well as the more advanced Radiant lens flare engine. 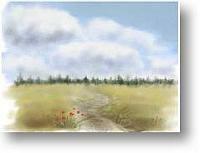 The "Make seamless brush" filter has been removed from the free version. There have been further improvements on this tool in a recent patch 2.1b patch (see: Seamless-Plus) for the full version, and even more so in version 3. The brush Post FX tab found in Brush settings of the full version has been removed from the free version. This Post FX tool allows for various special effects coming directly from the brush, such as embossing, shadow casting and more. manager (media media) and animated brushes. Twain is an included menu item in the File... menu of the full version. (support for scanners and digital cameras with Twain interface). It is not included in the free 1.2 version. 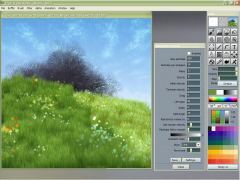 The free version features some animation capabilities including loading and saving frame sequences, however the full version is much more robust with features like the Timeline editor, exposure sheet, onion skin, Animated Brushes, Brush manager (menu: Brush->Store), new tools for modifying animated brushes with the Brush-timeline (a timeline editor for animated brushes), a Brush Keyframer (to apply and interpolate animated brushes against a backdrop animation) and much more. You can even apply animated filters on animated brushes! The free version supports a simplified layers panel, with only 2 layers (aka Main buffer / Swap buffer). Unlimited layers are supported in the full version, including a native layered file format (*.lay files). strings attached. No spyware, no registration needed, no time-expiration, not save-disabled. Simply enjoy freedom of artistic expression! There is a very handy, customizable color Mixer (like a painter's palette) in the bottom-left on the Tools panel of the full version. No such tool in v1.2. There is also a new type of color mixer in the full version 2, the Red-Yellow-Blue (RYB) color mixer instead of RGB. 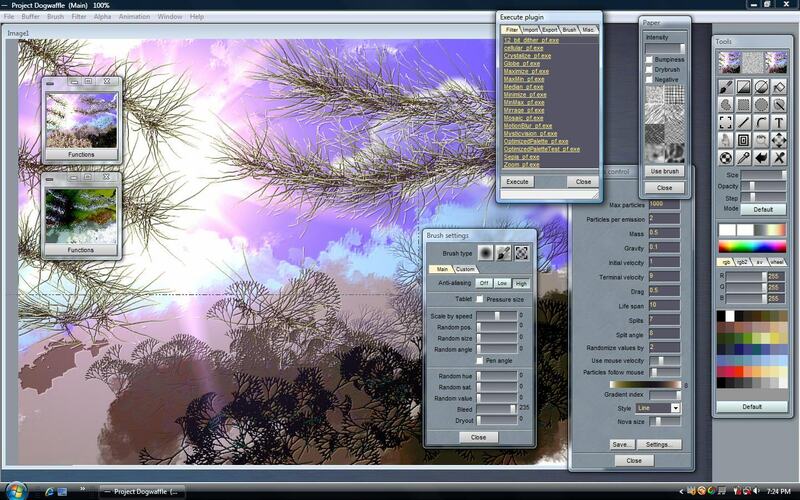 There is a 'Shading' checkbox on the Optipustics panel (fractal particle brushes) of the full version, to mimic sky lighting from above when generating foliage, grass, trees, etc. No such option in v1.2. The Freeware version 1.2 is pretty good for a freeware program. get the latest full version! So,...is Dogwaffle v1.2 really free? Yes. Plain and simply and in a word: you betcha! (ok, so that was 2 words if not 3). But it's free nonetheless. This is not the first time that a free version of Project Dogwaffle is released. It's been a while though (read the story further down below). The prior free version was v1.11b from early 2002. A lot of things have been improved and enhanced since, both with the commercial and the free version 1.2. For a list of recent updates, patches and bug fixes, see what's new. But,... What is Project Dogwaffle 1.2, Exactly? Project Dogwaffle is a paint and animation program for PC. Project Dogwaffle 1.2 is a subset of version 2.0, which was released in January 2004. The latest version is version 3.6 as of May 2006. It sells for next to nothing. However, this version 1.2 is a free version with no strings attached, with no time limits, it's not save disabled, really, just plain free paint software for starving artists of all ages. see DOTM-Dogwaffle of the Moment or what's possible and here (what's cool). And if you happen to be a programmer with Visual Basic 5 or 6 or VB .NET, you'll be glad to learn that there's a free SDK, and that you can further enhance Dogwaffle by making plugins and filters of your own. The free SDK is here. 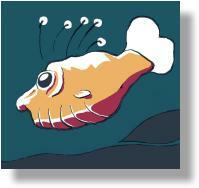 Why Free Image Editing / Digital Painting Software? Just because it's been a little while too long since the last free version. 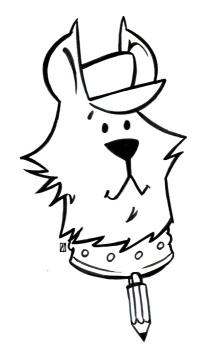 Honestly, for over 5 years, Project Dogwaffle was a free paint software. When things got tough with work (or the lack thereof) and paying bills and we lost our former domain name because we couldn't renew the $35 domain name registration fee, we realized it was time to go commercial, at least in part. So version 1.11b was the last fully free version. In August 2002 version 1.15 came along at $35. In November 2002 came v1.5, still using DirectX and GDI mixed. In version 1.6, released July 2003, pure GDI became the norm for the graphics output, and along came significant speed improvements which we put into the code. A few more patches later (October and November 2003 Doggybags), version 1.6 was selling for $45, and the free version 1.11b started to look really old and weak. It was time to get a new free version out. NOTE: Version 2.1 and PD Artist is available for around $19 to $29 if you want to move up from the free version! PD Particles is only $19 and even available for free with other popular software. For example, it is included with Comicbook Creator 2. Come on now, really... Why Freeware?!? We also did this in the spirit of promoting art worldwide and giving back to the community, and because we know we're not the only starving artists out there. But really, if you just can't trust free software we also have a very affordably priced commercial version. The free v1.2 is in fact a subset based on the core 2.0 release from January 2004. It was built in February 2004 and released as freeware on July 4 2004 (Independence of expensive Software Day, or so we like to think). The commercial version PD Pro 3 sells for just around US $59 here. That's roughly the cost of a cheap Sushi date and a night out at the movies with popcorn and soda for two. Even better than v3, the latest really powerful commercial version PD Pro Digital Painter 4 is available for a mere $89 here. Ok, but is it really that good? Well, you be the judge of that. There are professional writers and illustrators who have been using the free version for years for their book illustrations. See for example Doug Higley in the gallery called Dogwaffler of the Moment: DOTM. What's changed since January 2004? There have been many updates since the initial release of January 2004. February saw the 2.0b patch, March came along with 2.0c, and the 2.0d patch came in April. In May 2004 we released the 2.1 updater. >>>>>>>>> See what's new for the latest versions! If you liked the free v1.2, then you'll LOVE v2, and be even more exstatic about PD Pro 3 and beyond. The latest commercial versions are more affordable than you might think!